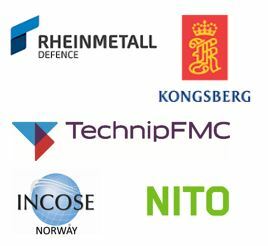 Abstract: Kongsberg Maritime is a company developing control systems used in safety critical operations such as offshore Oil & Gas. Evolving system complexity along with stringent requirements for safety of operations increases the need for technology qualification activities. The verification team’s knowledge about the system is an important contributor to the integrity of the qualification process, and the knowledge-sharing capability within a project constrains it. Test-focused A3s can facilitate sharing of the knowledge the verification team needs to challenge the system properly. Research shows increased knowledge sharing by modelling test-systems and configurations in direct relation to system architecture in A3s, rather than the traditional document form, for both the testers and the development team. Background: Lars Meskestad received his B.Sc. in Mechanical Engineering from Buskerud-Vestfold University College in 2011, and in 2014 he will receive his M.Sc. in Systems Engineering from Stevens Institute of Technology and Buskerud-Vestfold University College. He is currently employed as a Systems Tester in the Kongsberg Maritime. Abstract: “He who does not advance loses ground” – an old saying. Changes take focus and effort. Radical changes even more so – and differently. Changes can be imposed on you from the outside, in which case the impact normally turns negative. But you can also take the lead and turn changes to your advantage – competitive advantage. There is nothing between. Statoil has run a pilot on radical innovation called Statoil SpecTECHular for almost 3 years. The group composition and work method is different from the rest of the company – the same can be said about the output. This is our story – our success and struggle, our experience and dreams. Biography: Driving to work in his 23 year old Mercedes more or less daily for the 19th consecutive year in different countries to different companies, Steinar Wasa Tverlid appreciates quality all the way from fundamental theoretical understanding to regular hands-on care of engineering products, firmly believing that the entire scale is necessary to develop practical and robust new solutions. Steinar works in the corporate innovation team in Statoil as Innovation Specialist. He has actively proposed new solutions within his main discipline, Drilling&Well, and beyond for about a decade, and has many concepts in the development pipeline both internally and externally. He is also the founder and manager of a Radical Innovation team in Statoil on the third year. After a PhD on tribology in the aluminium extrusion process at the Norwegian University of Science and Technology, Steinar started to work for Hydro Aluminium Extrusion in 1997. He held various positions within technical service, research & development and project management, based in several European countries. In the same period he was also the manufacturing manager and deputy director of a machine shop for 2 years making steel extrusion dies for the aluminium industry. He went from the aluminium industry to Hydro Oil&Energy in 2004 working with drilling technology. Steinar is married with 3 children 1 to 7 years old and lives on Bjorøy outside Bergen. He has a genuine interest in people, culture and languages, and speaks Norwegian, English and French fluently, manages well on Spanish and German, and has (had) knowledge on Italian, Japanese and Russian. Title: The art of innovation; How to bypass countless hurdles? Biography: Gerrit Muller, originally from the Netherlands, received his Master’s degree in physics from the University of Amsterdam in 1979. He worked from 1980 until 1997 at Philips Medical Systems as a system architect, followed by two years at ASML as a manager of systems engineering, returning to Philips (Research) in 1999. Since 2003 he has worked as a senior research fellow at the Embedded Systems Institute in Eindhoven, focusing on developing system architecture methods and the education of new system architects, receiving his doctorate in 2004. In January 2008, he became a full professor of systems engineering at Buskerud University College in Kongsberg, Norway. He continues to work as a senior research fellow at the Embedded Systems Innovations by TNO in Eindhoven in a part-time position. Biography: Joseph Kasser has been a practicing systems engineer for more than 40 years and an academic for about 16 years. He is a Fellow of the Institution of Engineering and Technology (IET), an INCOSE Fellow, the author of “Holistic thinking: creating innovative solutions to complex problems”, “A Framework for Understanding Systems Engineering” and “Applying Total Quality Management to Systems Engineering”, and many INCOSE symposia papers. He is a recipient of NASA’s Manned Space Flight Awareness Award (Silver Snoopy) for quality and technical excellence for performing and directing systems engineering and other awards. He holds a Doctor of Science in Engineering Management from The George Washington University. He is a Certified Manager and holds a Certified Membership of the Association for Learning Technology. He also started and served as the inaugural president of INCOSE Australia and served as a Region VI Representative to the INCOSE Member Board. He has performed and directed systems engineering in the UK, USA, Israel and Australia. He gave up his positions as a Deputy Director and DSTO Associate Research Professor at the Systems Engineering and Evaluation Centre at the University of South Australia in early 2007 to move to the UK to develop the world’s first immersion course in systems engineering as a Leverhulme Visiting Professor at Cranfield University. He is currently a Visiting Associate Professor at the National University of Singapore. Biography: Mr. Solli started his education as an apprentice at SI (Sintef) in 1973. In 1974 he started studying at Tinius Olsen Tekniske Skole (HiBu), followed by a year at Dundee University in 1977-78. After this Mr. Solli went on to study at NTNU from 1978 to 1981 and serve the military (1981-82, UKVM) before starting his professional career working at Kongsberg Albatross (Kongsberg Maritime, 1982-85), where he was responsible for development of the next generation computer system for dynamic positioning systems. This was the first multiprocessor solution using redundant Ethernet as backbone for inter-processor communication. At the same time Mr. Solli founded MPS (1982-1992), the company being a result of projects for the Norwegian Navy. MPS developed the first colour radar display for use at sea fortresses, as well as converted the tactical trainer at KNM Tordenskjold from an electromechanical trainer to a microprocessor-based solution. The company developed to be a supplier of military trainers and simulators. Mr. Solli was managing director until the company was bought by NFT in 1990. In 1992 Mr. Solli founded Argos Control/Solutions with the goal to develop industrial applications based on artificial neural network. Argos Control/Solutions develops and delivers camera based systems for surface inspection and grading, and systems for automatic repairing of plywood. The company has close to 100% export and have customers all over the world. Mr. Solli was managing director until 2009 and is now the company’s technical director. Biography: I am Professor of Eng. Design and Innovation at the Department of Eng. Design and Materials at the Norwegian University of Science and Technology (NTNU). I teach fuzzy front-end engineering for radical new product/service/system concepts and graduate research seminars for PhDs engaged in topics related to new product design and development. My various research projects are usually multidisciplinary (ME/CS/EE/Neuro- and Cognitive Sc.) and often connected with industry. The aim is to uncover, understand and leverage early stage engineering design paradigms with a special focus onto human-machine/object interactions. Recently I have published in Int. Journal of Product Development, Int. Journal of Design Creativity and Innovation, Journal of Eng. Design and Technology, Int. Journal of Design, Int. Journal of Eng. Education, Tech. Forecasting and Social Change, Energy Policy, Information Knowledge System Management Journal … Ever since a short stint at MIT and my time as Deputy Director at the Center for Design Research and at the d.research program (Hasso Plattner Design Thinking Research program) at Stanford University, the overarching aim of my research and teaching is to always push the boundaries for Norwegian product development teams, so that they will ideate, more radical new concepts, faster. Biography: Mr. Pinto was born in Freamunde, Portugal, 1976. He has a Bachelor degree in Design from ESAD, Portugal, 2001-05, followed by Industrial Design Master studies at the University of Lapland, Finland, 2006-08. He started his career in IT being an “IT freak” from 1995 to 2001. From 1999 to 2005 Mr. Pinto was also an IT trainer. For two years following this he worked as a Furniture Designer, before he became an Industrial Designer in 2008. Mr. Pinto describes himself as an industrial designer positioned at the Fuzzy Front End and in love with creativity. Additionally, he would like to be a post-modern artist, an inventor, a mechanic, an objective economist and an evolutionary strategist.